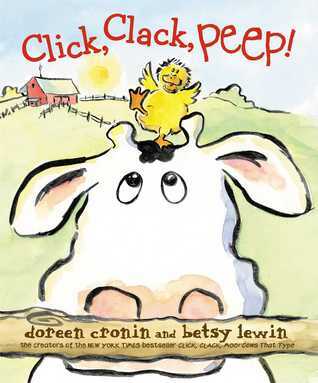 Farmer Brown, oh-so-sleepy, has a new, adorable and LOUD duckling to deal with in this addition to the award-winning Click, Clack series from the New York Times bestselling team who brought you Click, Clack, Moo and Click, Clack, Boo! There's more trouble on the farm, but Duck has nothing to do with it, for once. This time the trouble is a four-ounce puff of fluff who just won't go to sleep, and whose play-with-me & peeps & are keeping the whole barnyard awake with him. How do you get a baby duck to hit the hay? Poor Farmer Brown will find out and Duck might just find himself in trouble after all. Cronin and Lewis have done it again. They've created an adorable story about Farmer Brown and his animals. This time the focus is on the new arrival: a baby duckling. The excitement is palpable as the animals anxiously watch the egg until it hatches. But once the duckling has arrived all the animals and Farmer Brown are ready to sleep. Unfortunately, the duckling's constant peeping makes it impossible for them to sleep in the barn and so they all have to go outside to sleep. At least until duck comes up with a seemingly perfect solution. With duck though, things are never as simple as they seem. Another fun read from a consistently fun author and illustrator. Watch out! Hoot Owl is hungry in an offbeat story with deadpan humor and bold, striking illustrations. Hoot Owl is no ordinary owl. He is a master of disguise! In the blackness of night, he’s preparing to swoop on his prey before it can realize his dastardly tricks. Look there—a tasty rabbit for him to eat! Hoot Owl readies his costume, disguising himself as . . . a carrot! Then he waits. The rabbit runs off. Never mind! Surely his next juicy target will cower against such a clever and dangerous creature as he! 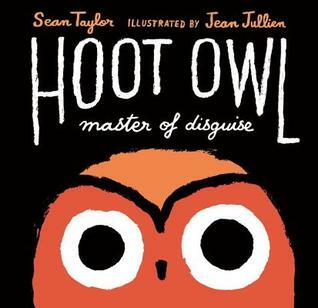 Kids will hoot at Sean Taylor’s deliciously tongue-in-beak narration, belied by the brilliantly comical illustrations of Jean Jullien. Hoot Owl prowls around looking for something delicious to eat. He uses disguises to get close to different prey and then waits for them to come to him, when they don't he sets off again, hungrier than before. The humor here comes not only with the different disguises Hoot Owl wears (carrot for the rabbit, sheep for the sheep, etc. ), but in his supreme confidence that he is a master hunter and that will catch something to eat if only he keeps trying. It never occurs to him that his methods might be somewhat lacking in effectiveness. Unfortunately, the funny ending doesn't disabuse him of this notion. But child readers are bound to figure it out and laugh themselves silly at Hoot Owl's foolishness. Families of all kinds will delight in this sweet tale of new babies, sibling rivalry, bravery, unconditional love...and veggies! The Bunny family has adopted a wolf son, and daughter Dot is the only one who realizes Wolfie can--and might--eat them all up! Dot tries to get through to her parents, but they are too smitten to listen. A new brother takes getting used to, and when (in a twist of fate) it's Wolfie who's threatened, can Dot save the day? 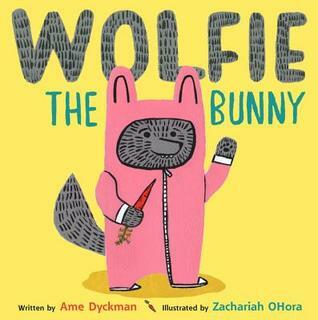 I expected this book to be funny, I mean it has a wolf in a bunny suit holding a carrot on the cover after all. But the ending still surprised me. The idea of a bunny family taking in a wolf pup is funny to begin with and then the author throws in Dot's fierce distrust of this new member of the family and it makes the ending all the more surprising. Except those who have siblings may not be too surprised, after all our siblings might drive us crazy but they are still our siblings when all is said and done. The illustrations match the tone of the story perfectly providing just the right serious versus humorous touch. Definitely one of my new favorites that I am eager to share with any young reader in sight. A sure fire winner as a read aloud either one-on-one or for a group. This is a book that all libraries need to have. Fans of Mo Willems’s Don’t Let the Pigeon Drive the Bus! and Jon Klassen’s I Want My Hat Back will love meeting this willful young frog with a serious identity crisis. Frog wants to be anything but a slimy, wet frog. A cat, perhaps. Or a rabbit. An owl? But when a hungry wolf arrives—a wolf who HATES eating frogs—our hero decides that maybe being himself isn’t so bad after all. 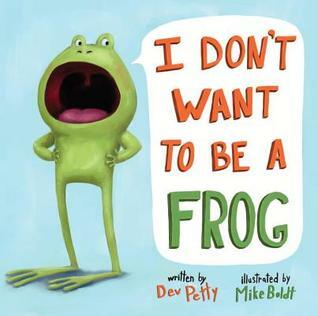 In this very silly story with a sly message, told in hilarious dialogue between a feisty young frog and his heard-it-all-before father, young readers will identify with little Frog’s desire to be something different, while laughing along at his stubborn yet endearing schemes to prove himself right. Most people at one point in their lives wish they were different. This picture book beautifully illustrates that issue and how easy it is to see the best parts of being someone else while missing the value in ourselves the way we are. Frog wants to be anything but a frog, a cat, a rabbit, even an owl seems better to him than being a wet, slimy, bug-eating frog. Frog's father patiently explains to Frog why he can't be any of those other animals. It isn't until the wolf shows up however that Frog begins to see the advantages of being a frog. I caught myself laughing out loud with this one and I think children will as well. Especially with the wonderful illustrations that capture the feel of the story so perfectly. 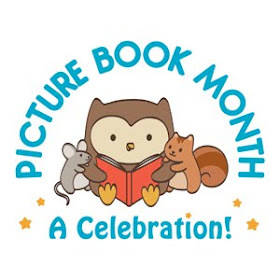 The characters are so expressive in both word and illustration (I love the fact that the father frog has glasses and can be seen rolling his eyes at one point). The first appearance of the wolf might scare really young children, but most will find him exciting. This book makes for a great read a loud in almost any setting and would be great for talking to kids about what makes them special. Highly recommended. 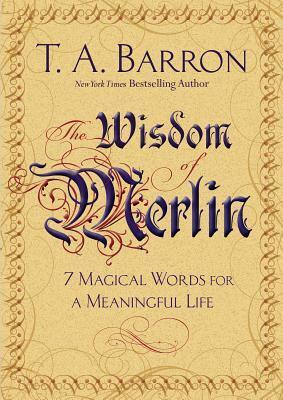 To celebrate the upcoming publication of THE WISDOM OF MERLIN: 7 Magical Words for a Meaningful Life by T.A. Barron, we are participating in a countdown campaign based on Merlin’s answer to the question “What is the meaning of life?” Surprisingly, the answer has only seven words…but they are the most powerful words of all. Each week we will focus on one of these magical words with supporting content that will help your readers and followers acknowledge, reflect, practice and get inspired to embark on a new adventure or live life to its fullest. We continue this week with Belief. · "Faith is taking the first step even when you don't see the whole staircase.” Martin Luther King, Jr. Belief can be more than a religious faith; it can be directed towards family, friends, a greater good for humanity, on any outside force that gives us hope. Many movies focus on this power of belief and can be an inspiration for all ages. · It’s a Wonderful Life (1946) - George Bailey spends his entire life giving up his big dreams for the good of his town, Bedford Falls. Broken and suicidal over the misplacing of an $8000 loan, he eventually regains his belief in life and himself after being shown how his town, family, and friends would turn out if he had never been born. · The Pursuit of Happyness (2006) – A bright and talented salesman struggling to make ends meet finds himself and his five-year-old son evicted from their San Francisco apartment with nowhere to go. When he lands an internship at a prestigious stock brokerage firm, he and his son endure many hardships in pursuit of his dream and belief of a better life for the two of them. · Wall-E (2008) - In the distant future, a small waste collecting robot inadvertently discovers a new purpose in life when he meets a sleek search robot named EVE. WALL-E has inadvertently stumbled upon the key to giving hope back to the planet's future. · Life of Pi (2012) - The survival story of a boy and a tiger on a life boat at open sea. In a struggle to survive, Pi and the tiger forge an unexpected connection that gives him daily motivation to live. Life of Pi is a tale of faith, hope, and the fight to survive. · What are some things you believe in? Write a list or post in your journal about some of the things that keep you going in life. · Find a quiet spot to sit and meditate on your beliefs and on the values that give you strength. Ten minutes of reflection each day can uplift your spirit and help keep you motivated to stick by your principles when hard times arise. · Learning about other people’s beliefs can help expand your own. Talk to a friend about their beliefs and share your own as well. To celebrate the upcoming publication of THE WISDOM OF MERLIN: 7 Magical Words for a Meaningful Life by T.A. Barron, we are kicking off a countdown campaign based on Merlin’s answer to the question “What is the meaning of life?” Surprisingly, the answer has only seven words…but they are the most powerful words of all. Each week we will focus on one of these magical words with supporting content that will help your readers and followers acknowledge, reflect, practice and get inspired to embark on a new adventure or live life to its fullest. We continue this week withWonder. · Albert Einstein - Now considered the greatest physicist of the twentieth century, Albert Einstein began his career by wondering how he could solve many of the inadequacies in science at the time. Through hard work- and decades of experiments- he developed his groundbreaking theory of relativity, which includes the now famous equation “e=mc2”. · Mark Twain - Mark Twain often wondered how the infamous Halley’s Comet would shape his life. Born during the first sighting of the comet in 1835, he predicted that he would pass away 74 years later, during the next sighting. Twain once said, “I came in with Halley's Comet… It will be the greatest disappointment of my life if I don't go out with Halley's Comet.” As if in sync, Twain passed away the day after Halley’s Comet returned. · Galileo Galilei - For decades Galileo stared up at the sky and wondered about the sun. Did it circle around us? Did we circle around the sun? After years of observations, he published his findings proving that the sun was indeed the center of the solar system, not the Earth. · Jane Goodall – As a young girl in England, Jane wondered about what it would be like to live in Africa. She dreamed of exploring the land and meeting the wildlife, especially chimpanzees and other primates. That curiosity drove her to do what no one had done before: She studied the chimpanzees so closely that she realized that they could make tools, communicate in their basic language, and create a complex social community. Goodall dedicated her life to the chimpanzees, so much so that she inspired millions of people, young and old, to work hard to conserve the planet we share. We encourage you to post any of the content, include content of your own and engage your readers and followers to do the same. Any time during the campaign, we can arrange for an interview with TA Barron as well as provide copies for review purposes and giveaways. 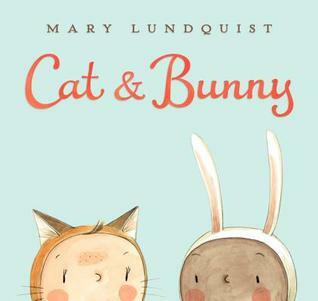 From the heartwarming text to the adorable illustrations of little kids dressed as animals, there's so much to love about Mary Lundquist's debut picture book, Cat & Bunny. Cat and Bunny. Bunny and Cat. It's always been just the two of them--daydreaming, having adventures, playing their special game. Until the day someone else asks, "Can I play?" Mary Lundquist captures all the charm and magic of first friendship in her winning debut picture book. Friendship can be a bit tricky at any age. Cat and Bunny are faced with one of those friendship dilemmas that most children face at one time or another. Used to playing only with Bunny, Cat is thrown for a loop when Bunny lets the other animals (children) join their made-up game. Wandering off sadly, Cat hopes that Bunny will join her, but is instead joined by a playful kitten and a ball of yarn. Bored, Cat decides to make up a new game to play with her new friend. The game is so fun that the other kids want to join in, including Bunny. This is a cute book with a sweet story about adjusting to the changes that friendship brings. The queen’s cats have taken over the palace, and the king has had enough! Beloved artist Ruth Sanderson brings her signature detailed and lush style to this humorous story of royal compromise. Told in rhyme, and with dozens of cats on each page, this gorgeous book is sure to have cat lovers of all ages purring! I've long been a fan of Ruth Sanderson and cats so when I heard about this book I knew I had to get my hands on it. 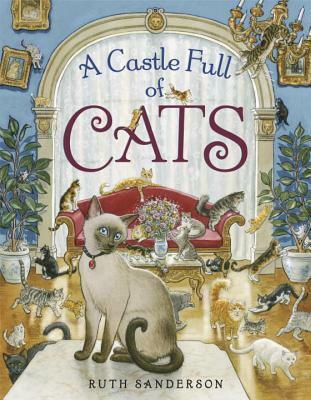 This is a delightful book for cat fans, there are dozens of cats scattered throughout this book, not to mention a beautiful queen and handsome queen. The cats efforts to win over the king made me smile. Cats are after all known for their individuality. The whole theme of compromise is beautifully handled and subtle enough for adults. But my favorite part of the book are the gorgeous illustrations with cats everywhere. The detail allows for plenty of study, especially the cats various activities. A fun book for royalty lovers and cat lovers alike. CYBILS MIDDLE GRADE FICTION WINNER! I was thrilled to be able to serve as a second round judge for the Middle Grade Fiction category. And I am even more pleased to announce the winner. I thoroughly enjoyed the process of discussing and choosing and am grateful for the opportunity to work with other great bloggers and kidlit lovers. To see the other winners check out the Cybils website here. Eleven-year-old Sam has had a tough life. He had a heart transplant when he was young and was further scarred by his mom leaving, several minor run-ins with the law, and a father who doesn’t understand him. One night he takes his anger out on an old deserted building and this time when he’s trying to get away, he climbs the tree of the biggest house in town and ends up accidentally destroying the extravagant Christmas decorations in the yard. The owner Mr. Wells insists that he repay him with his time. Mr. Wells knows everything about Sam’s past, and he thinks he can use some of Sam’s skills on a secret project to help the town of Nickel Bay. Sam takes his punishment, reluctantly at first, but it doesn’t take long until he is working hard to earn Mr. Wells’ trust. 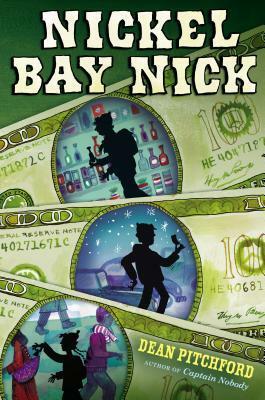 Nickel Bay Nick will appeal to middle grade readers of all ages as they try to figure out the mysterious Mr. Wells and join in Sam’s secret adventure. Boys and girls will be able to relate to the difficult things Sam faces like his parent’s divorce and financial hard times, peer pressure, illness, the consequences of bad choices and the relief of second chances. Fourteen-year-old Max Murphy is looking forward to a family vacation. But his parents, both archaeologists and Maya experts, announce a change in plan. They must leave immediately for a dig in the tiny Central American country of San Xavier. Max will go to summer camp. Max is furious. When he's mysteriously summoned to San Xavier, he thinks they've had a change of heart. Upon his arrival, Max's wild adventure in the tropical rainforests of San Xavier begins. During his journey, he will unlock ancient secrets and meet strangers who are connected to him in ways he could never have imagined. For fate has delivered a challenge of epic proportions to this pampered teenager. 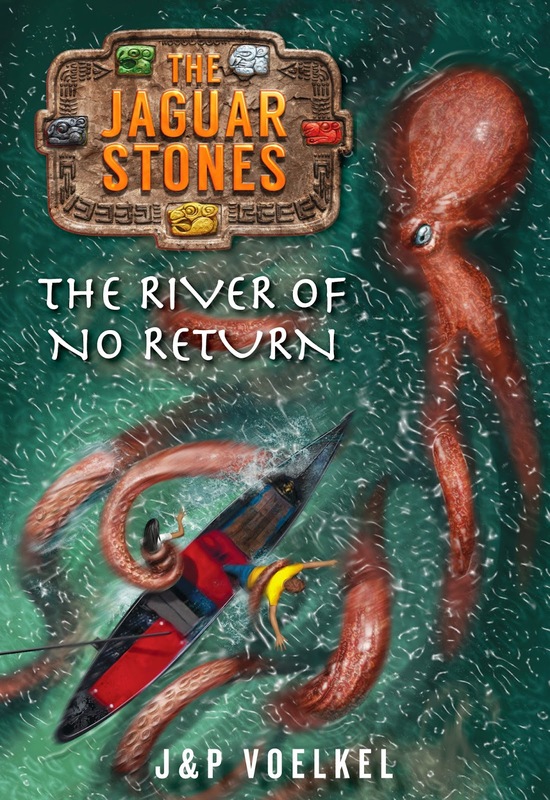 Can Max rescue his parents from the Maya Underworld and save the world from the Lords of Death, who now control the power of the Jaguar Stones in their villainous hands? The scene is set for a roller-coaster ride of suspense and terror, as the good guys and the bad guys face off against a background of haunted temples, zombie armies, and even human sacrifice! One of the things I noticed immediately about this series is how well the authors presented the setting. In a story like this the setting plays a very important role, especially when the fantastical merges with the real world. (See below for an article about how this setting was created). I'm also fascinated by the study of archaeology and that plays a strong role in the story as well. While Max isn't a particularly likeable hero at first (unsurprising since he is a single child, 14-year-old boy), I couldn't help but feel sorry for him as he quickly finds himself in a situation that is way over his head. Luckily for him, Lola, a modern Mayan girl, comes along to help. Mythology is a very popular topic these days thanks to Rick Riordan and it's refreshing to get a glimpse of the Mayan world. The additional information about the Mayas at the end of the book was greatly appreciated by myself as it helped separate fact from fiction. This is a good series for readers who want more mythology but have finished Riordan's books. With the end of the Mayan calendar fast approaching, fourteen-year-old Max Murphy and his new friend Lola, the modern Maya girl who saved his life in the perilous jungle, are racing against time to outwit the twelve Lords of Death. Following the trail of the conquistadors, their quest takes them back to the wild heart of Spain - a forgotten land steeped in legend, superstition and ever more bizarre tourist festivals. With a pack of hellhounds on their heels and the cape-twirling Count Antonio de Landa in hot pursuit, the teens must face madness and betrayal, bluff and double-bluff, to uncover the terrible secrets of the long-lost Yellow Jaguar. But no matter where they run, all roads lead to Xibalba. There, in the cold and watery Maya underworld, we finally discover why only Max Murphy can save the world from the villainous Lords of Death. A hurricane is brewing in the jungles of the Maya, and the ancient Death Lords are on the warpath. Across the world in Venice, Italy, hanging out with his blogger friend Nasty (Anastasia) Smith-Jones and eating Pizza Gelato, Max Murphy thinks he is safe from their clutches. But when a rogue octopus pulls him off his gondola and tries to drag him down to the underworld, Max realizes that the Death Lords have not finished with him yet. Soon Max is back in Central America and reunited with the only ones who can help him in his battle--Lola, the mysterious Maya girl, and the howler monkeys Lord 6-Dog and Lady Coco. Once again it's up to the four of them to save the world as they fight off mutant cave spiders, zombie warriors, and, of course, the twelve villainous Death Lords. 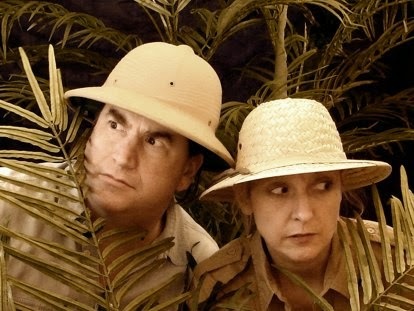 With the hurricane about to hit land, Max and Lola embark on a one-way journey to danger down the blighted Monkey River. They take shelter in a subterranean hotel, only to stumble upon Death Lord central. Torn between rescuing themselves and rescuing one of the last wild jaguars of the Monkey River region, Max and Lola find themselves drawn into an ever more bizarre series of tests, culminating in a terrifying ballgame that they can never win. 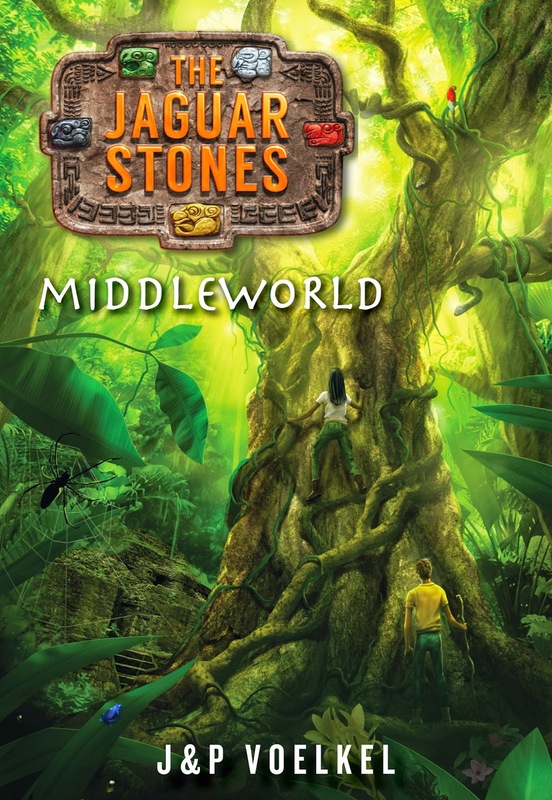 With his parents in jail and the Maya Death Lords in possession of all five Jaguar Stones, fourteen-year-old Max Murphy is pretty sure that he'll never get to leave the rainforest. But the Lords of Death have a problem--a new king calling himself Great Sun claims to have the Jaguar Stones, too. And they want Max to prove the guy's a fraud. Or else. Now, Max, and Lola, the mysterious girl who befriends him, are off on another wild adventure that will take them from Central America to New Orleans and up the Mississippi to the lost city at the heart of America's past. But one thing Max should have learned after all of this dealings with the Death Lords -- they never keep their promises. Jon Voelkel grew up in Peru, Costa Rica, and Colombia, all the while dreaming of a boring life in suburbia. Eventually, having survived monkey stew, an attack by giant rats, and a plane crash in the jungle, he rolled up his hammock and decamped to Europe. Meanwhile, growing up in a sedate seaside town in northern England, Pamela Craik Voelkel was dreaming of travel and adventure. The pair met in London, where they both worked in advertising. They went on to help found an award-winning agency, for which Jon was named one of the fifty most creative minds in Britain by the Financial Times. 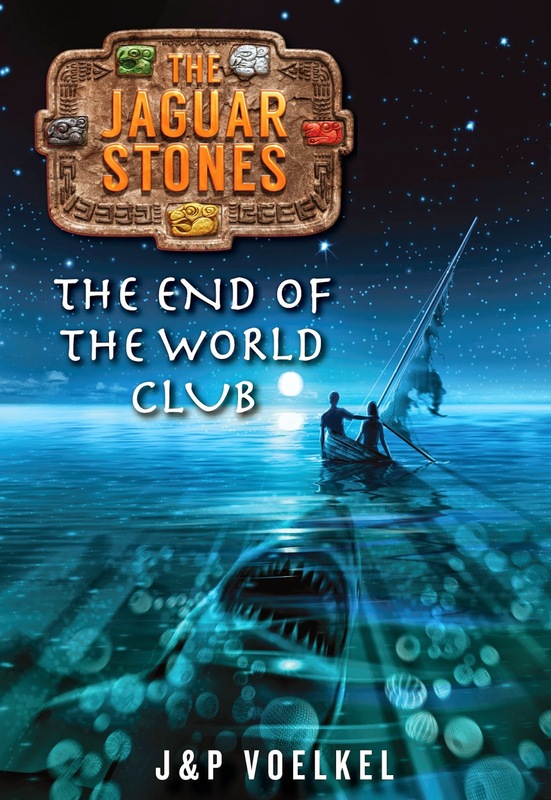 The authors' first book in the Jaguar Stones series, Middleworld, was an Al Roker Book Club pick. The Voelkels now live in Vermont with their three children. You can visit them online at www.jaguarstones.com. We didn't invent the name Middleworld. It's what the ancient Maya called the world of men. It was in the middle, sandwiched between the breezy heavens and the watery underworld. The Jaguar Stones books are about the friendship between a city boy from Boston called Max and a modern Maya girl called Lola. Together they try to save Middleworld from the clutches of the ancient Maya Lords of Death. The story is set in the present day, so the villainous Death Lords have to get to grips with things like marketing and social media if they're ever going to stage a comeback. It's tricky writing anything about the ancient Maya, because there's just so much that nobody knows. In theory, we should know everything about them because they wrote it all down in painted bark paper books. Sadly, all but three of those books were burned in the Spanish conquest. So we only have a tiny glimpse of the treasures that were lost. But what has survived is the spirit of the Maya. And that's what we've tried to reflect in creating the world of the Jaguar Stones. To avoid the politics of modern day Central America, our books are set in a fictional country called San Xavier. It's loosely based on Belize, both for its swashbuckling history of pirates and smugglers, and the fact that one of its official languages is English. We had a lot of fun bringing back an ancient Maya king and his mother, in the form of two talking howler monkeys. (You'll have to read the books to find out how THAT happens!) Lord 6-Dog and Lady Coco are based on a real king of Palenque called Pakal, and his mother, the Red Queen. Through them, we've tried to convey life in a Maya royal court. There is this over-riding image of the Maya as obsessed with human sacrifice, but that more fairly describes the Aztecs. The Maya were war-like, for sure, but they should also get credit for their magnificent arches, straight roads and indoor plumbing. Not to mention their wild fashion sense. 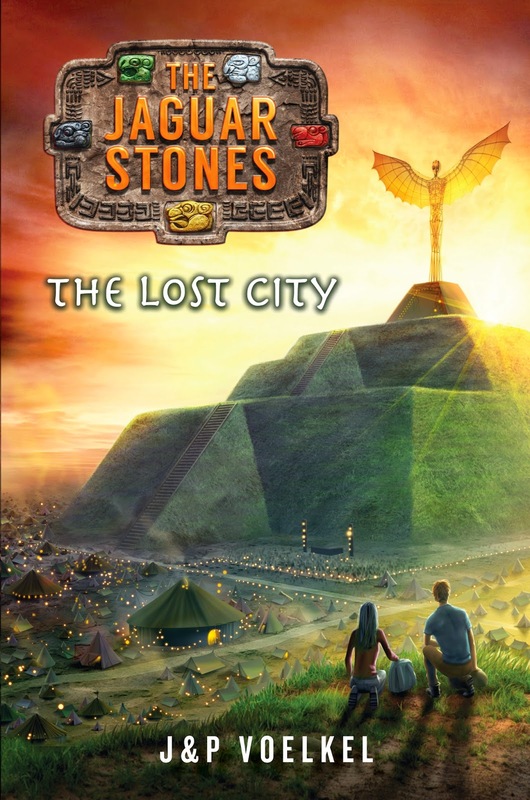 The Jaguar Stones books are populated by a mixture of modern Maya people, mythical Maya creatures, characters from ancient history, and the families of Max and Lola. In their own ways, all of them are all living on the fringes of reality. Even the rainforest with its tightly-knit ecology is a world unto itself, with its own characters, rules and logic. Who would ever believe that a tree would recruit ants to be its bodyguards? Or that an innocent little caterpillar could disguise itself as a deadly snake?